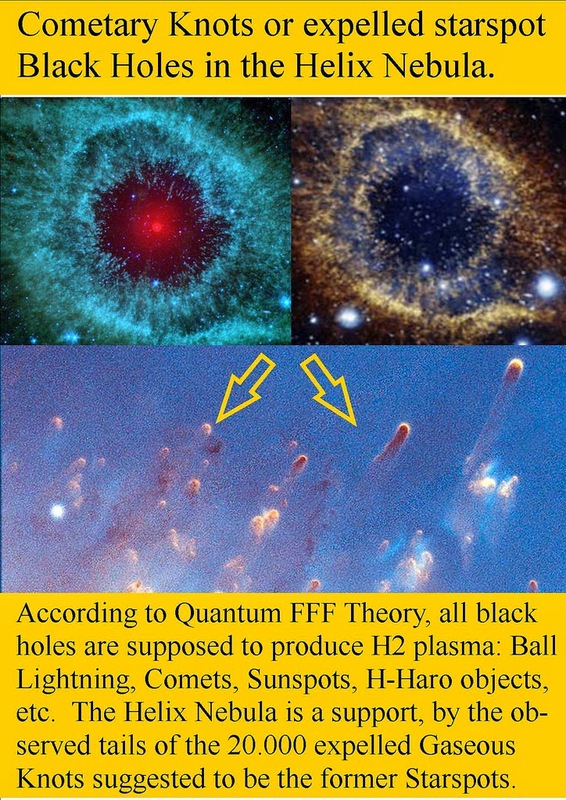 Micro black hole based Comets produce H2 and Water molecules building the icy Comet nucleus, spouting icy dust tails. 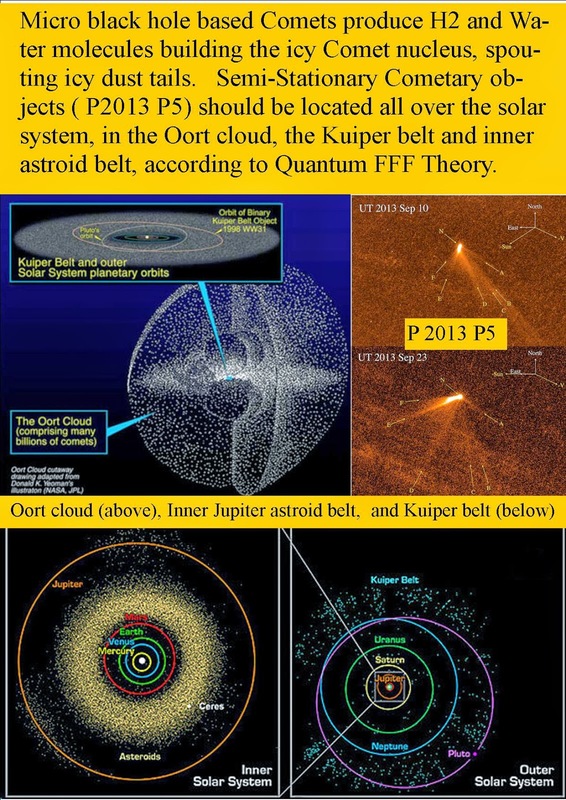 Semi-Stationary Cometary objects ( P2013 P5) should be located all over the solar system, in the Oort cloud, the Kuiper belt and inner astroid belt, according to Quantum FFF Theory. 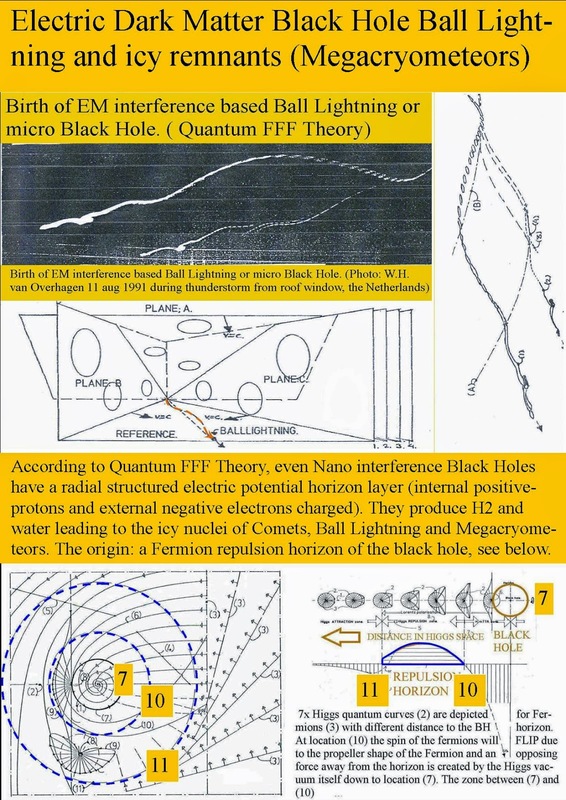 According to Quantum FFF Theory, micro black holes are produced by strong EM interference inside and above Lightning clouds and at the solar surface producing ball lightning and Cometary nuclei. Sunspots are also believed to be former Comets crashed into the sun. Inside Galaxy halos these H2 production seems to be the origin of large H2 clouds drifting around to form new stars in beteen these SN BHs. ( last Poster) . In the Halo of Galaxies these SN Black Holes are observed by their dark matter lensing effect on back ground stars. 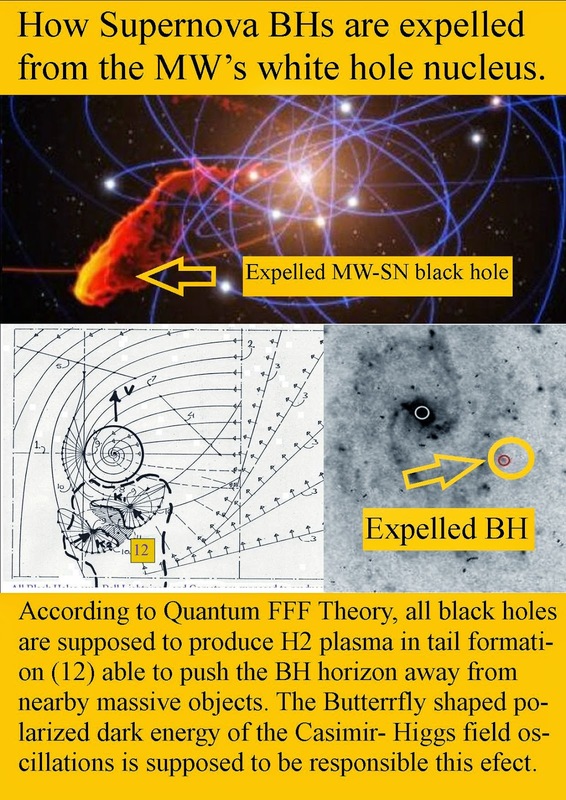 Dark Matter Point sources revealed around galaxies as black holes. 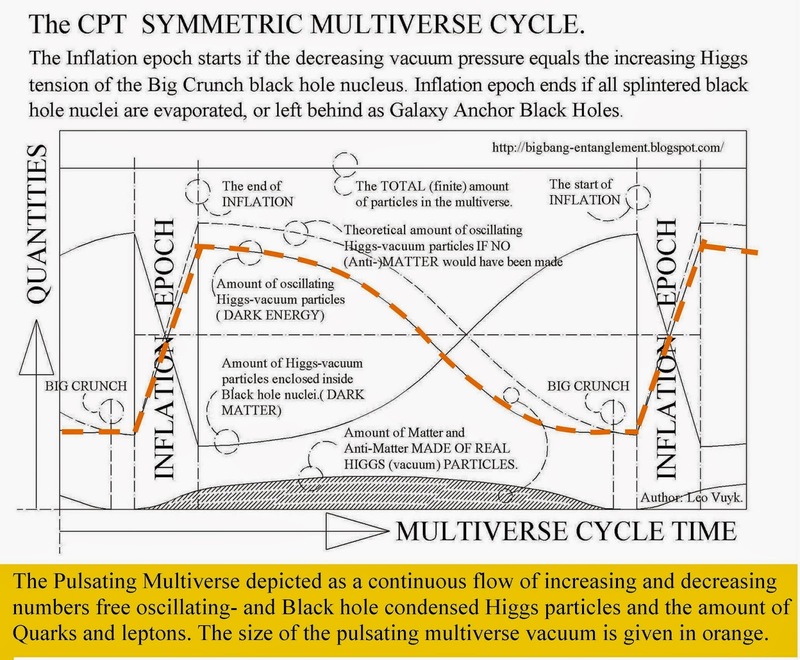 Hubblecast 58: Caught in the Cosmic Web. 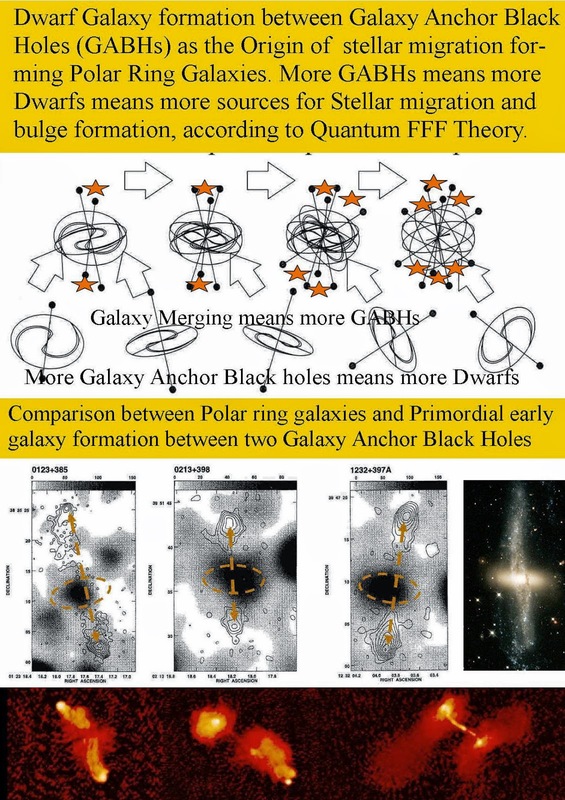 Galaxy Anchor black holes represent dak matter point sources. 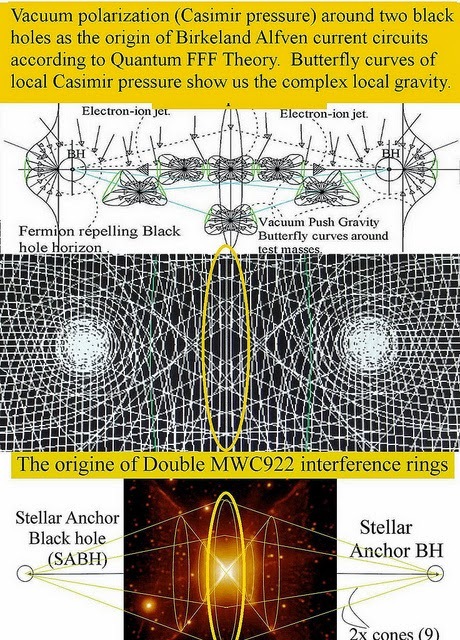 From HubbleCast and host Dr. J. Astronomers using the NASA/ESA Hubble Space Telescope have studied a giant filament of dark matter in 3D for the first time. Extending 60 million light-years from one of the most massive galaxy clusters known, the filament is part of the cosmic web that constitutes the large-scale structure of the Universe, and is a leftover of the very first moments after the Big Bang. The first convincing identification of a section of one of these filaments was made earlier this year. Now a team of astronomers has gone further by probing a filament's structure in three dimensions. Seeing a filament in 3D eliminates many of the pitfalls that come from studying the flat image of such a structure. The team combined high resolution images of the region around the massive galaxy cluster MACS J0717.5+3745 (or MACS J0717 for short), taken using Hubble, NAOJ's Subaru Telescope and the Canada-France-Hawaii Telescope, with spectroscopic data on the galaxies within it from the WM Keck Observatory and the Gemini Observatory. 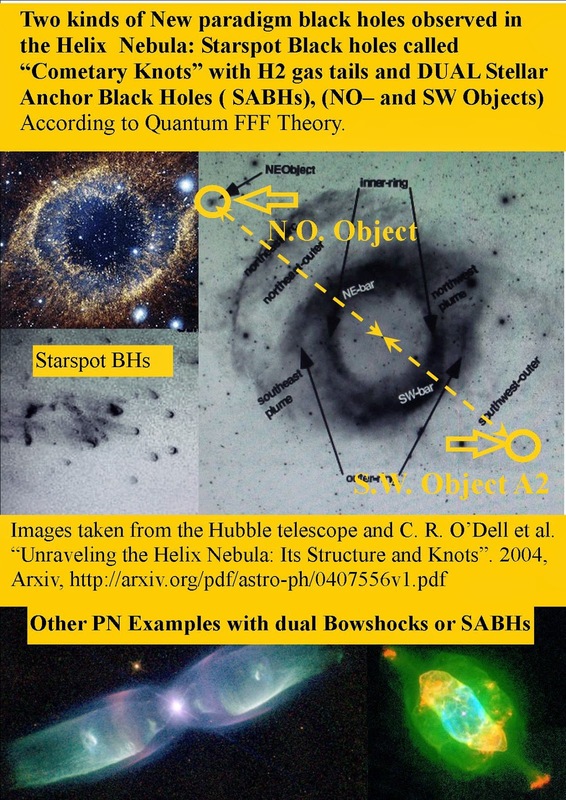 Analysing these observations together gives a complete view of the shape of the filament as it extends out from the galaxy cluster almost along our line of sight. 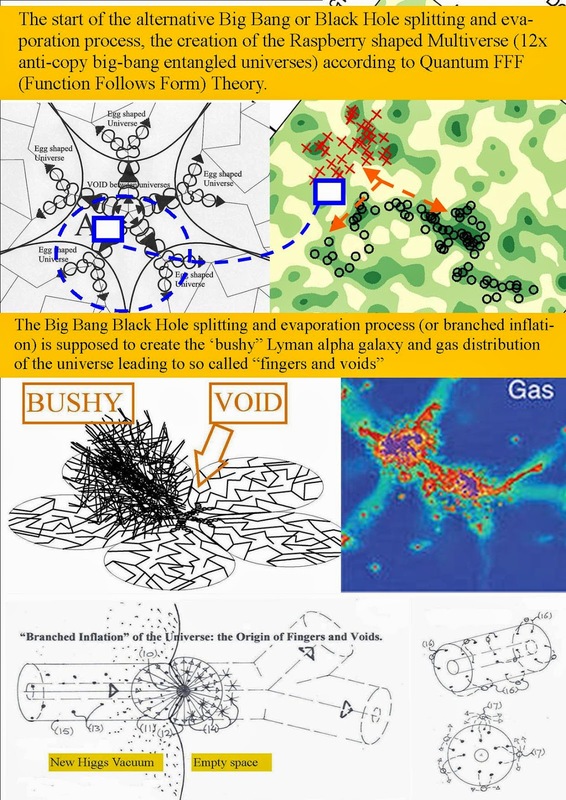 Theories of cosmic evolution suggest that galaxy clusters form where filaments of the cosmic web meet, with the filaments slowly funnelling matter into the clusters. 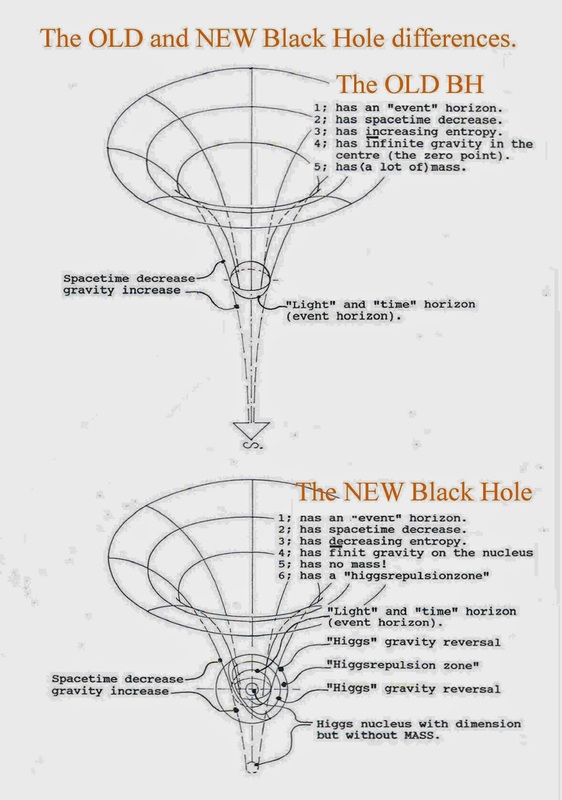 Albert Einstein's famous theory of general relativity says that the path of light is bent when it passes through or near objects with a large mass. Filaments of the cosmic web are largely made up of dark matter  which cannot be seen directly, but their mass is enough to bend the light and distort the images of galaxies in the background, in a process called gravitational lensing. The team has developed new tools to convert the image distortions into a mass map. Gravitational lensing is a subtle phenomenon, and studying it needs detailed images. Hubble observations let the team study the precise deformation in the shapes of numerous lensed galaxies. This in turn reveals where the hidden dark matter filament is located. Hubble's observations of the cluster give the best two-dimensional map yet of a filament, but to see its shape in 3D required additional observations. 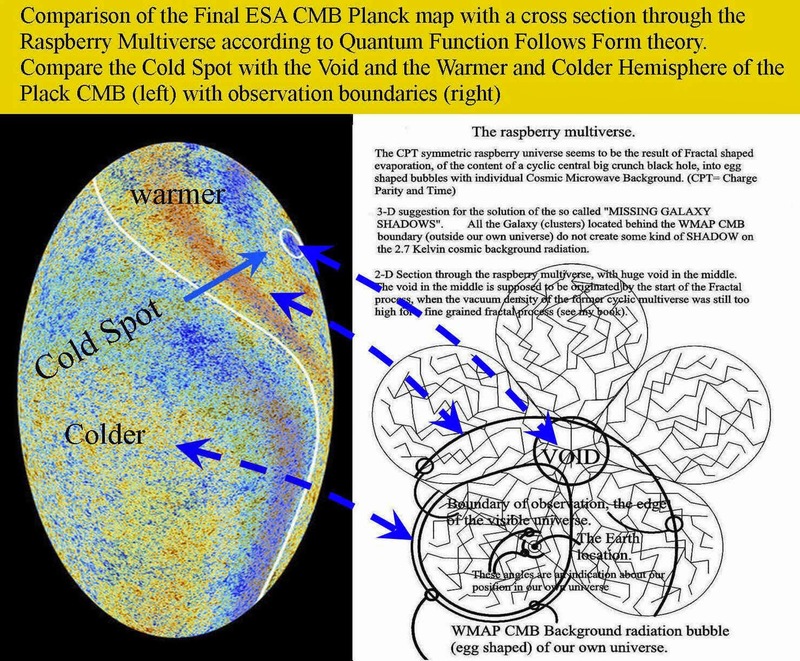 Colour images , as well as galaxy velocities measured with spectrometers, using data from the Subaru, CFHT, WM Keck, and Gemini North telescopes (all on Mauna Kea, Hawaii), allowed the team to locate thousands of galaxies within the filament and to detect the motions of many of them. Dwarf galaxies sprinkled around M31 andromeda represent the result of black hole based dark matter influence on star formation in between dual tandem black holes forming Herbig Haro systems, or as globular clusters around each dark matter black hole. 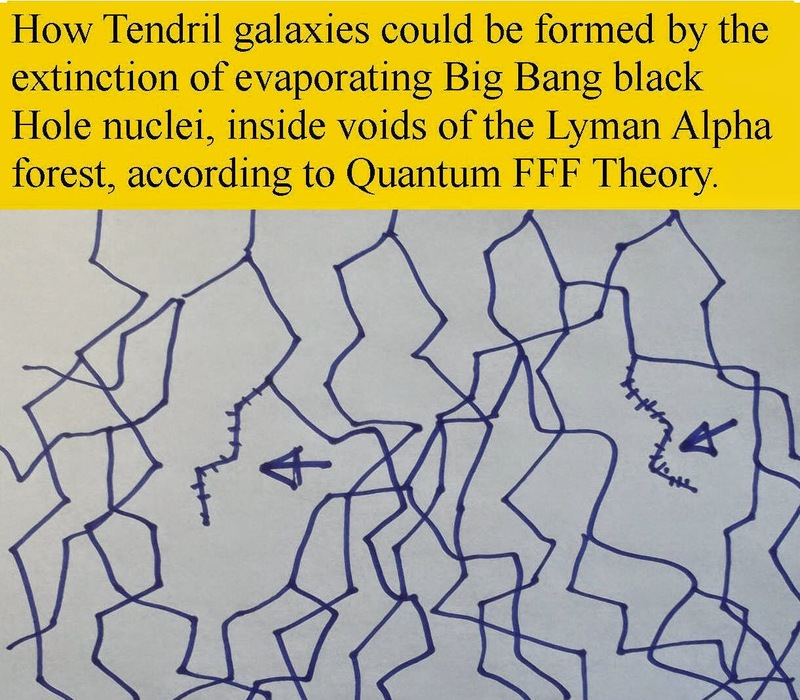 Splitting Dark Matter Black holes as the origin of the Lyman Alpha forest fractal structure, with dead- end BH splitters resulting in so called galaxy Tendrils inside large voids of space. Qoute: Daily galaxy 8 april 2014. Quasars are young galaxies powered by massive black holes, extremely bright, extremely distant, and thus highly redshifted. 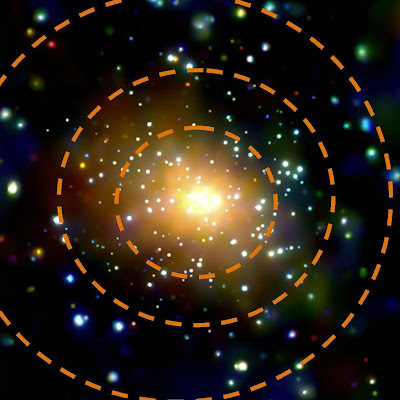 The Baryon Oscillation Spectroscopic Survey (BOSS), the largest component of the third Sloan Digital Sky Survey (SDSS-III), pioneered the use of quasars to map density variations in intergalactic gas at high redshifts, tracing the structure of the young universe. BOSS charts the history of the universe's expansion in order to illuminate the nature of dark energy, and new measures of large-scale structure have yielded the most precise measurement of expansion since galaxies first formed.